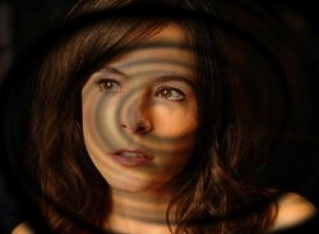 Elaine Cassidy (born 31 December 1979) is a multiple award-winning and nominated Irish actress. Elaine Cassidy was born in Kilcoole, County Wicklow. Her first role was as the title character in a school production of Pinocchio when she was five. In 1996, she was nominated for the Most Promising Actress at the Geneva Film Festival for her role in The Sun, the Moon and the Stars. She played the starring role in Felicia's Journey with Bob Hoskins, which she was nominated "Best Actress" at the 20th Genie Awards. For her role as Runt in Disco Pigs, opposite Cillian Murphy, she won the 2003 IFTA Award of "Best Actress in a Feature Film". She was nominated in the "Best Actress in Television" category in the 2005 IFTA for her role as "Maud Lilly" in a BBC drama Fingersmith. She is also a stage actor and appeared in The Crucible with the Royal Shakespeare Company in 2006 and in There Came A Gypsy Riding at the Almeida Theatre in 2007. In addition to her film acting, she appeared in the music video for Coldplay's "The Scientist". She is married to actor Stephen Lord, whom she met on the set of The Truth. The couple is expecting their first child in 2009. They live in Greenwich, Greater London.